Tickets are still available for Svart Records‘ upcoming death metal show in Helsinki. 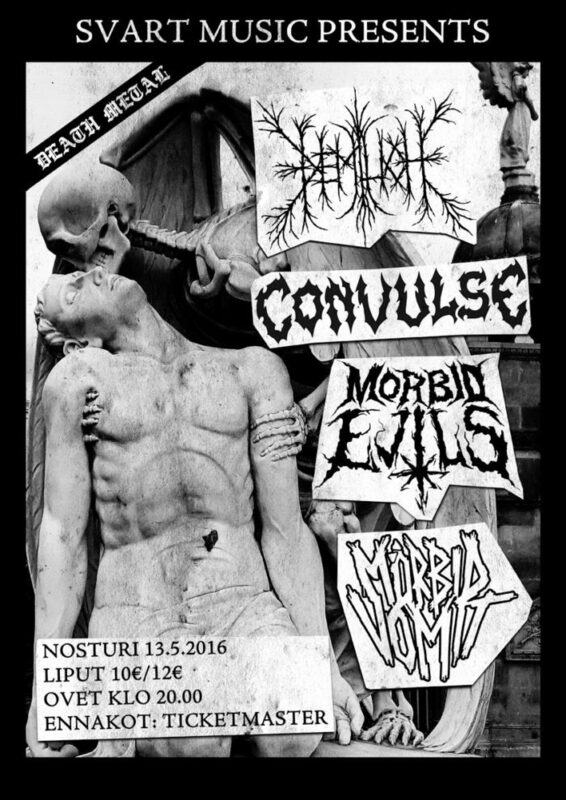 Headlining is Demilich with label mates Convulse, Morbid Evil, and Mörbid Vomit opening. This will be another great opportunity for Finnish Hessians to experience the cyclical insectoid music of Demilich in a live setting with background music openers much better than the idiotic mall parking lot ones at certain American festivals.